208 - 7/20 to Dessau, Gr, 210 - 7/23 to Creil, Fr. F/O Saul A. Cooper (N-B/O) - Flew on all 14 of the F/O Cecil M. Miller crew dispatched missions. Flew on twenty-two additional missions with other Pilots (191, 325, 326, 328, 330, 332, 334, 335, 336, 341, 342, 343, 344, 346, 347, 351, 352, 357, 358, 360, 361, 363). Combat Tour (36 missions) completed on 20 April 1945 (Mission 363). T/Sgt Jack O. Severson (Tog-B/O) - Flew on eight missions with the F/O Cecil M. Miller Crew (201, 202, 203, 204, 205, 206, 207, 208, 210). Flew on 26 additional missions with other Pilots: As Ball Turret Gunner with Lt Samuel E. Rosser (Nine missions - 178, 179, 180, 181, 182, 183, 184, 186, 187); As Togglier with 8 other Pilots (Seventeen missions - 195, 237, 238, 241, 245, 252, 254, 255, 256, 258, 259, 260, 261, 262, 263, 264, 265). Combat tour (35 missions) completed on 1 Nov 1944 (Mission 265). 2Lt Jackson R. Bohannon (B-KIA) - Flew on the first six F/O Cecil M. Miller missions (194, 195, 198, 199, 200, 201) and was replaced by Togglier Sgt Jack O. Severson, Jr. Flew on eleven additional missions with five other Pilots (228, 230, 233, 234, 236, 237, 238, 239, 240, 244, 248). 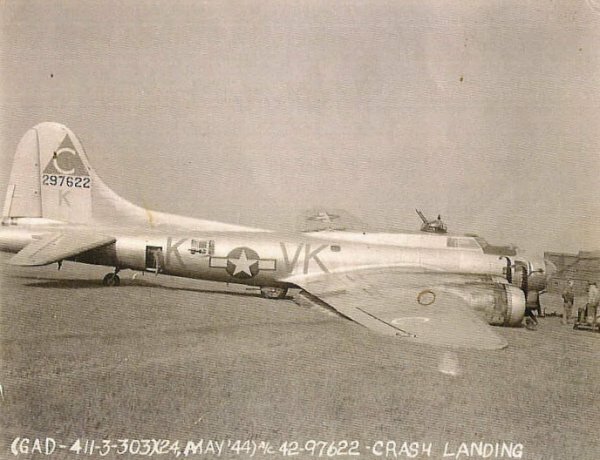 Was Killed in Action on mission 248, 28 Sept 1944 to Magdeburg, Germany in B-17G 43-38206 Silver Fox (358BS) VK-F, 1Lt William P. Lay (P) - 8 KIA & 1 POW. (MACR 9408). Is buried in the Netherlands American Cemetery at Margraten, Netherlands. S/Sgt William H. Wilson (R-B/O) - Flew on all 14 dispatched F/O Cecil M. Miller Crew missions. Also flew on two missions with 1Lt Harlan J. Johnson (P) (196, 197). S/Sgt Earl W. Sheets (E) and Sgt William A. Zweck (TG) - Flew on all 14 dispatched F/O Cecil M. Miller crew missions. Sgt James M. Pierce (BTG) - Flew on twelve F/O Cecil M. Miller crew missions (194, 195, 198, 199, 200, 201, 204, 205, 206, 207, 208, 210). Substitute Ball Turret Gunner, Sgt Thomas A. Rowe used on two missions (202, 203). Sgt Karl W. Carlson (WG) - Flew on 13 dispatched F/O Cecil M. Miller missions (All missions except for 195). Sgt William W. Robertson (WG) - Flew on one F/O Cecil M. Miller crew mission (195). His Waist Gunner crew position was deleted when crew size was reduced from ten to nine men. 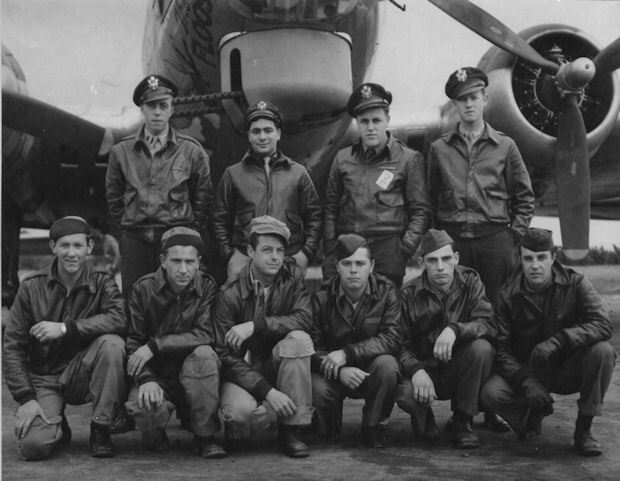 Mission 199 - 8 July 1944 - Mission was aborted when crew failed to find the 358th BS formation. Returned to Molesworth. Mission 210 - 23 July 1944 - Ran out of fuel when approaching the English coast on the return trip from Creil, France. The Navigator and Pilot were unable to find an emergency airfield on which to land. The crew was ordered to bail out while crossing the English coast. Three engines were out and the 4th was sputtering on and off. Seven crewmen made successful parachute jumps on a country side hill. F/O Saul A. Cooper (N) suffered a broken ankle. F/O Cecil M. Miller (P) jumped but was killed on landing. His chute handle had been pulled but the parachute was still semi-packed. Sgt William A. Zweck (TG) parachute caught in the B-17s elevators and he was killed when the B-17 crashed at Bishop Waltham. 24 May 1944 Crash landing at Molesworth. Later, on 23 July 1944 on Mission #210 to Creil, France Paper Dollie was lost when she ran out of fuel. Pilot F/O Cecil M. Miller was unable to find an emergency landing field. He ordered the crew to bail-out while crossing the English Coast. Most of the crewmen made successful parachute jumps. F/O Cooper sustained a broken ankle. F/O Miller was killed on landing when his parachute failed to open.